When it comes to iOS devices, the applications should download and install from app stores. It is also the main thing that always essential for the people to follow often. But, sometimes people usually go for other applications which are not available in the Store to download. However, it is possible to download from other sites instead of visiting AppStore. In this case, most of the time people would prefer to do a jailbreak on their phone to install out of store applications. This is how most of them go ahead to download and install apps on their Mac and windows. But the fact is that most of the jailbreaks won’t support the devices. Also, it will lead to some common issues like files corrupt, hanging and more. However, it is not the primary cause for complaint about. If you are looking for the way to sideload iOS apps your Mac, then here it is a way that you can make use of it. Yes, it is possible without jailbreak, you can sideload the apps at any time. You just need to follow some of the steps which are given here. Here, you are going to learn that how to sideload AppStore apps without going for the option jailbreak. We all know that Appstore has many restrictions which keep on ignore the users to download the paid apps for free. However, it is possible with the help of given below method. But before going to do, make sure that the fakes apps are available online. For your information, this could be a possible chance of creating an issue and lead your device to damage at the end. So, knowing the fact before getting into the process is always essential. Also, check out this fantastic guide on installing “SnapChat++ IPA on iOS“. How is it Possible to Side loading AppStore apps? If you are searching for the method to download and install apps without a jailbreak, then it is possible with the help of Cydia impactor. Thus the Cydia impactor is majorly used for downloading the open source apps which are paid. With the help of this impactor, the user can download and install iOS apps on Windows and Mac at any time without making any difficulties. Get the latest version of iTunes on your PC. IPA file for the respective application. It supports any OS on your PC. Required Apple ID to log in. These are the essential things that needed before going to use the Cydia impactor. If you are searching down for the best third party App installer, then we will recommend you to Download and Install AppValley for iOS on your iDevices and it can be done without Jailbreaking your device. 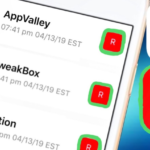 Download Links of Latest Cydia Impactor: Cydia Impactor developers are very quick when it comes to the new update released. Today they come up with the brilliant update of Cydia impactor to iOS 12, iOS 12.1 beta, iOS 11.4.1, iOS 11.4, 11.3 and obviously you know it’s compatible with older versions. Below are provided links of iOS 12 Cydia impactor, download it to your respective devices. A simple trick to fix the Windows users Cydia Impactor errors: Fix Cydia Impactor.exe Has Stopped Working Error on Windows PC. 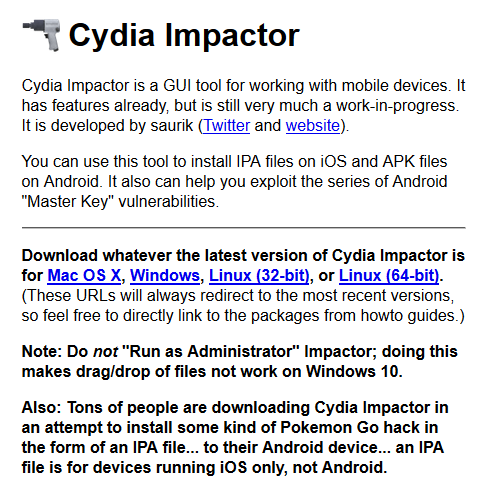 Cydia Impactor has been updated to 0.9.50 version by adding below feature. People complained about this new update of Cydia Impactor 0.9.48 version that it’s not working on windows 10 and a few other small issues. It got fixed by the latest 0.50 update. It is the method given here for the seekers to using apps from outside of a store. One should keep it in mind, you may also find issues while installing, but not much and still it is safe to handle. Let’s have a look that what are all the steps required to sideload apps with Cydia impactor. You need to download and install the current version of iTunes, or you should update it if you have an older version. Next, you require visiting http://www.cydiaimpactor.com/ and download Cydia Impactor tool on your computer or download from above-provided links which are updated versions too:). It allows you to download the impactor on different Operating systems. You just exact one for your PC. After downloading the software, you need to install it on your Windows/Mac system. Now searching for the IPA file of the app which you want to sideload. Here we have wanted to mention one thing that Cydia does not support any dev file. So you need to pick IPA file for installing iOS apps on your iPhone or iPad through Cydia. 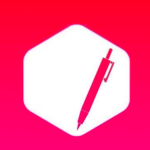 Now you need to connect your iPhone/iPad to your PC and launch the Cydia Impactor on your Windows or Mac machine. The dialogue box asks you to select the device from the drop-down Choose your desire iDevice and drag as well as drop the IPA file to the impactor’s window. You need to put an Apple id for certification. You may your paid or free id for it. To create a free Apple id, you require visiting https://developer.apple.com/. Remember the free id will be valid for 7 days, but you can use the paid one for 1 Add the id to the dialogue box, and if you add a free id, you will get a message for revoking as well as replacing the Apple developer certificate. Click Ok. It takes a few minutes to complete the sideloading process. 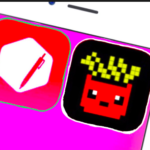 After finishing, you will see the app icon on the home page. Before launching it, you need to verify the app. Go to Settings -> General -> Profiles & Device Management. Trust the app’s profile and start it. Error Fix: How To Fix Cydia Impactor “http-win.cpp:160” Error [Update]. 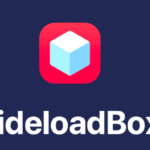 People who all are seeking for the safe sideload iOS applications on their PC, here is the excellent chance of knocking it. So, the interested users make use of these above simple steps that too without jailbreak which is always safe. I am sure of the AppleID and password I am using! How do I bypass this? ?